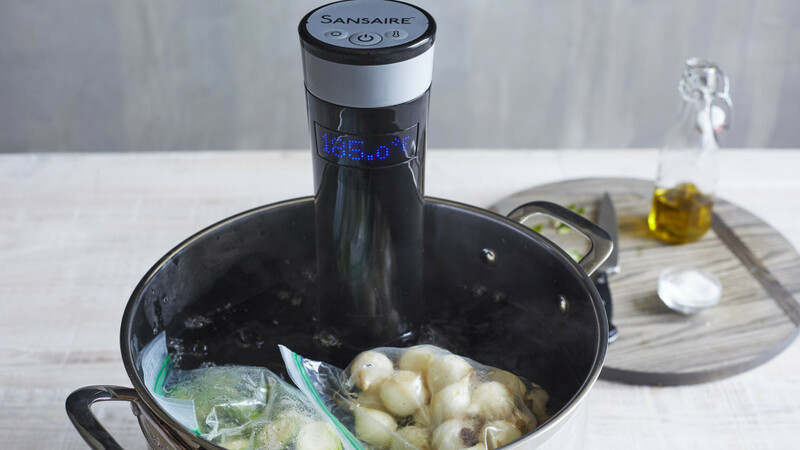 The Sansaire provides brains and beauty in a Sous-Vide machine / Immersion Circulator. 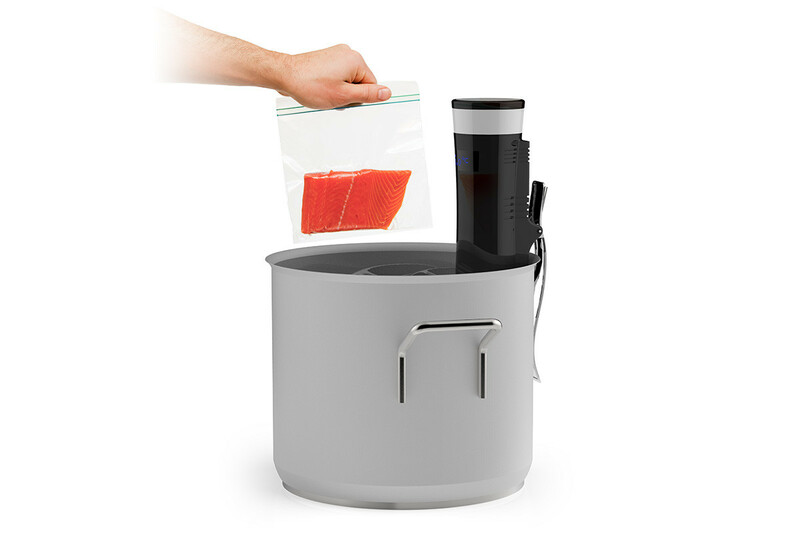 The Sansaire is intuitive and easy to operate, and clips onto any pan or pot or polycarbonate container that you already own. 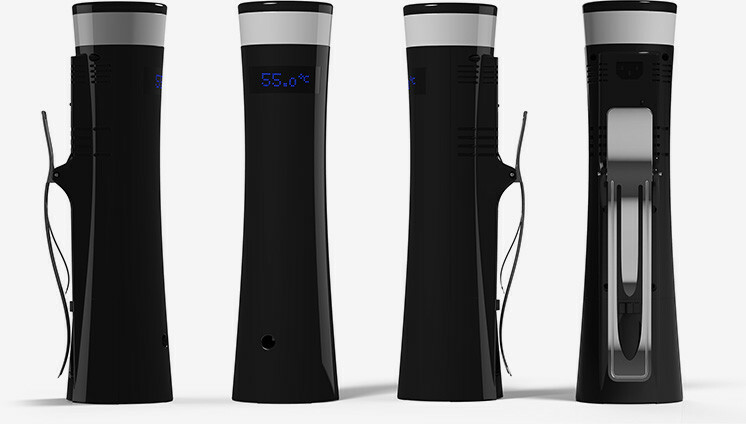 The Sansaire uses a rotating dial at the top of the unit to adjust temperature. Its readout is large, easy to read (even from across the room or in a dark kitchen), and has no extraneous information. 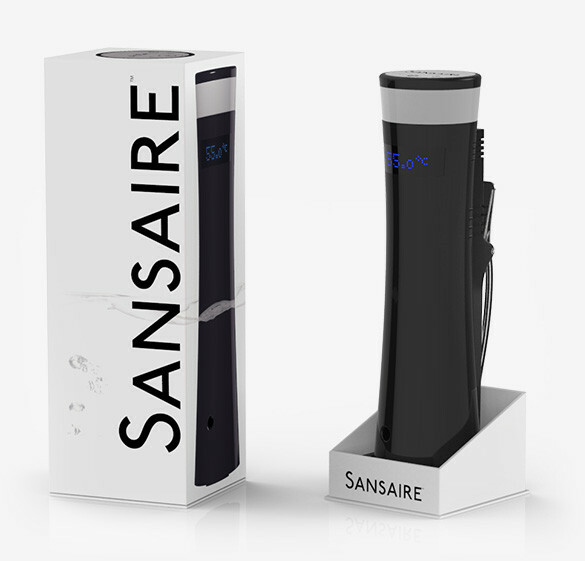 Think of the Sansaire as the Apple of circulators: well designed, stripped down, and minimalist. There are three buttons: a power button, a °F/°C switch, and a button that tells you the target temperature the unit is set to (the readout tells you the actual temperature unless you are adjusting the temperature ring or you press the target temp button). 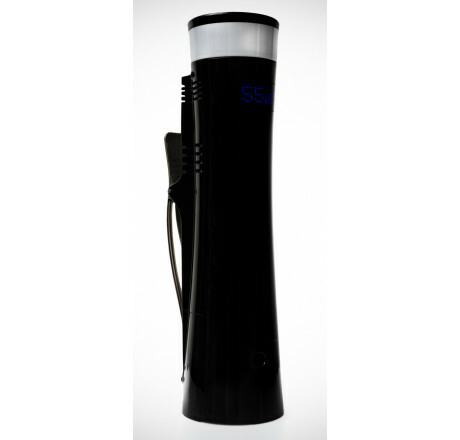 The Sansaire has a spring-loaded metal clip, and has adjustable width. The Sansaire has the added advantage of a wide, stable-feeling base, so the clip is really just a precautionary measure during use. 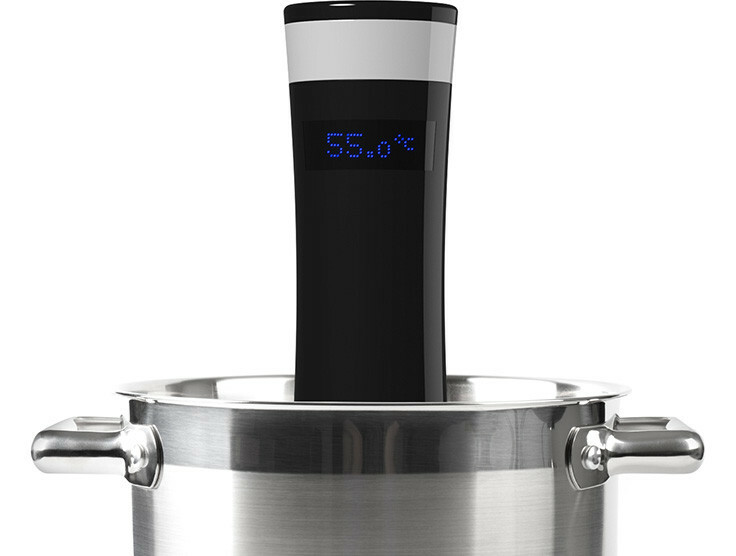 The clip reaches all the way down to less than 2,5 cm (1 inch) above the bottom of the unit, which means that you can clip the Sansaire onto basically any size pot. You can lift the Sansaire out of the water and within a few seconds, all excess water will drip out, allowing you to rest the machine on a towel or drying matt to drip-dry.